In the wake of Hassan Rowhani’s landslide victory as Iran’s new president, some foreign policy mavens now believe that Rowhani’s presidency may augur a positive shift in Iran’s hitherto hostile policy towards the West. 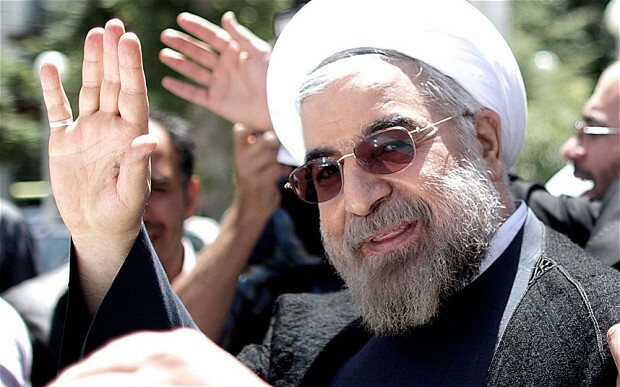 However, despite a glimmer of hope that Rowhani’s election may translate into moderate policies towards the West, others have “adopted a cautious ‘wait-and-see’ posture,” citing Rowhani’s past affiliation with the Ayatollah. For East Asian experts, Rowhani’s election warrants attention because it remains to be seen whether Iran will retain its current alliance with Kim Jŏng-ŭn even if it chooses to reconcile with the West. After all, some have alleged that Iran has played a major role in the DPRK’s successful testing of its Ŭnha-3 rocket last December. More importantly, Rowhani’s future stance towards the West deserves attention because it may determine whether or not the United States must revise its strategy to adapt to new geostrategic realities. Indeed, it can be argued that the aforementioned factors are not mutually exclusive but intricately intertwined. Some foreign policy mavens have construed recent events in the Korean peninsula and Iran as encouraging “game-changers.” After all, both Koreas have begun talks to ratchet down the ongoing tension. Furthermore, experts on Iran agree that Rowhani’s victory was prompted by a universal desire for positive change after years of economic hardships and political repression under Ahmedinejad. However, geostrategic realities on the Korean peninsula and in the Persian Gulf might be more complex than they appear. On the peninsula, the two Korean states evinced deep-seated rancor and mutual distrust in their latest talk held at P’anmunjŏm despite having reached an agreement to reopen the Kaesŏng Industrial Complex. As Miha Hribernik and I wrote previously, “Should miscommunication problems and distrust persist, the consequences for the Korean Peninsula and the regional security environment may be dire.” As for Iran, it recently claimed to have improved the accuracy of its anti-ship ballistic missile, the Khalij-e Fars (Persian Gulf). Further, Rowhani’s election may have little effect on Iran’s existing nuclear policy because ultimately, “it is Khamenei who will make the final decision on the nuclear program.” In other words, both the DPRK and Iran may continue their existing partnership, or even lash out against the United States, if they believe that their collective interests are threatened. So how can the United States successfully recalibrate its existing strategy in ways that reflect current geostrategic realities in the Persian Gulf and on the Korean peninsula? Dealing with the DPRK and Iran may require a flexible combination of deft diplomacy on one hand, and a show of strength on the other. 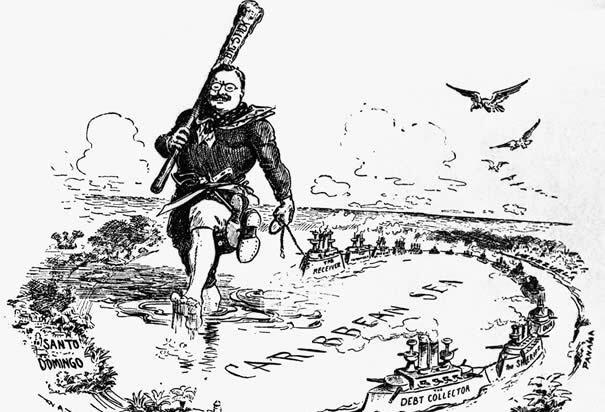 In simple terms, the United States should “speak softly and carry a big stick” when dealing with future threats posed by the DPRK-Iran alliance. Diplomacy may be the best option that the Obama Administration has to proactively deter the two “outlier” states from coalescing. Indeed, Vali Nasr recommends offering sanctions relief to Iran so as “to break the logjam over nuclear negotiations.” Even better, the United States can thaw relations with Iran and the DPRK by granting diplomatic recognition to both countries. In addition to “reducing dangers” stemming from miscalculations and enabling the United States to gather intelligence on both countries, normalization may prevent the outbreak of a fratricidal war on the Korean peninsula and may hold Rowhani and Kim Jŏng-ŭn accountable to international norms. Nevertheless, in order for diplomatic endeavors to be sustainable in the long-run, they must be backed up by a credible threat of coercion. While many defense analysts and strategists remain fixated on countering Iran and China’s A2/AD tactics, the U.S. military can no longer afford to operate alone in the face of drastic sequestration cuts. It can, however, exercise firmness by “leading from behind” in working with allies and proxies. One such example is that of a “proxy strategy” implemented by General James Mattis, whereby Iran’s Sunni neighbors would supposedly vie for influence in the Persian Gulf region to deter, if not contain, Iran’s rise as a regional power. 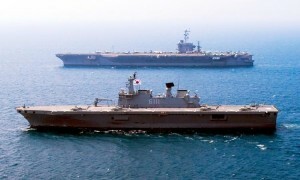 Another option, as I’ve proposed earlier, would be to form a combined fleet composed of the U.S. Pacific Fleet (PACFLT), the ROK Navy, and the Japanese Maritime Self-Defense Force (JMSDF) to proactively deter future DPRK provocations. Third, given that the United States still faces aggression from afar in the face of improved missile capabilities possessed by Iran and the DPRK, the United States must be prepared to defend itself at home by bolstering its missile defense systems. Last, and perhaps most important, since the world has converged into a smaller community by way of globalization, we must take the fight to our adversaries by “recogniz[ing] that it takes a network to confront another network…[and, therefore, must] follow the money [to upend] threat financing” internationally and at home. LCDR B. J. Armstrong wrote that there “would be changes to tactics, and the requisite adjustments to operational planning” when dealing with adversaries who threaten America’s strategic dominance abroad. To this, one should add that flexible strategic responses, whereby the United States readily wields a combination of carrots and sticks to deal with refractory pariah states, may be needed to guarantee America’s continued strategic dominance and peace in the Persian Gulf and in East Asia.